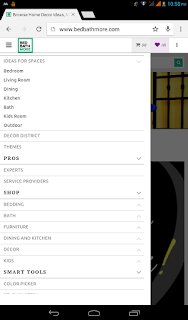 Ever since hubby and I moved into our own pad, we had wanted to design it according to our own taste and personality. The flat, like most ready to move houses had plain cream walls which more often than not, made me feel very dull and old. We wanted to have a youthful appeal to our living room, since our house was always buzzing with friends and parties. 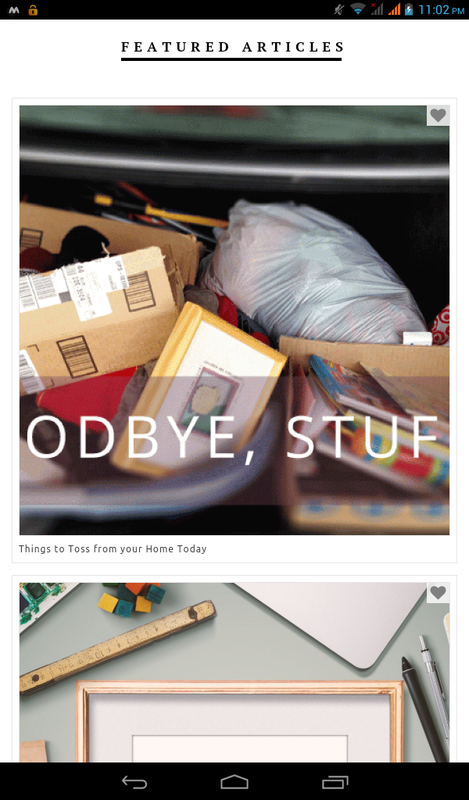 However, as soon as the thought of a makeover would come to my mind, I would start fretting about so many things. 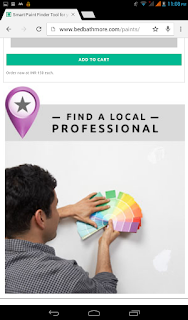 Since we had recently relocated, we hardly knew any local guy who could do the painting job for us. Without fleecing us! 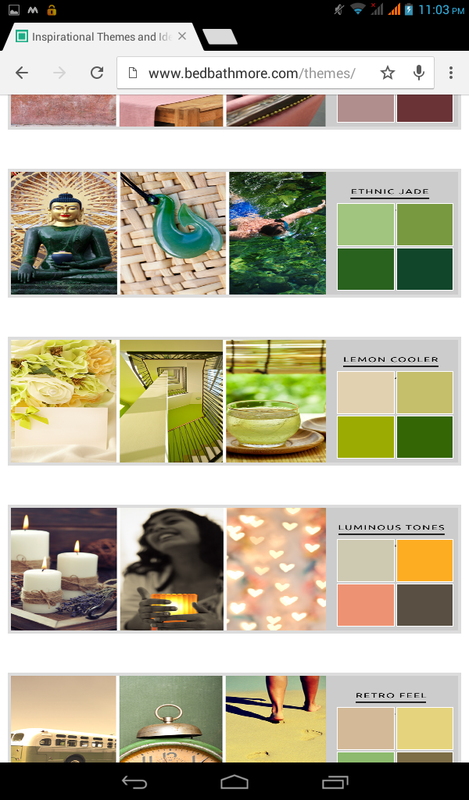 I would often visualise the kind of space I wanted – lively, youthful and refreshing. However, after a hectic day in office I would be often, too tired to decide the entire look in my mind. The more I discovered the website, the more it seemed my living room’s makeover would be a reality soon. http://www.bedbathmore.com/ is one stop solution to all your décor concerns. 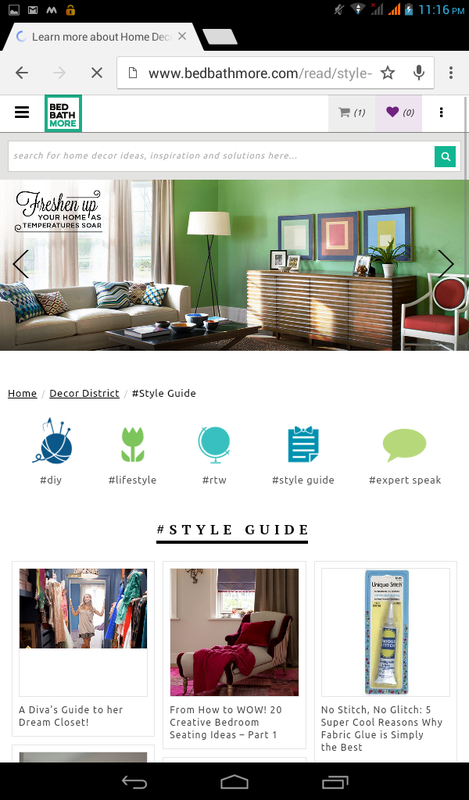 Ideas, expert advice, paints, décor, furniture – the site offered everything at one place! I soon got glued with their décor district and began to read the numerous articles on how to give a perfect makeover to your house. Once I was done, it was time for some action. 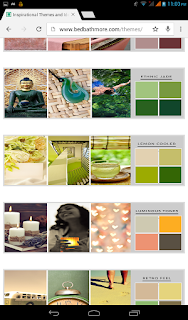 I chose the theme lemon cooler for my living room, since I was looking for a refreshing and youthful appeal. 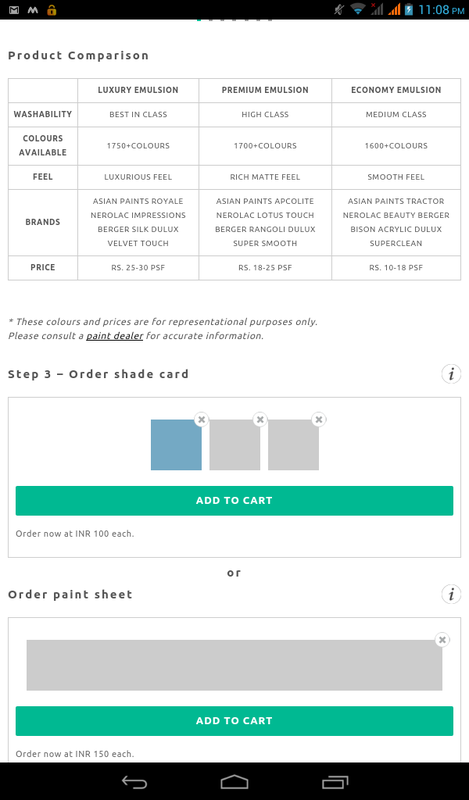 Finding the perfect shade was easy since the theme automatically offered the shades close to the look I wanted! 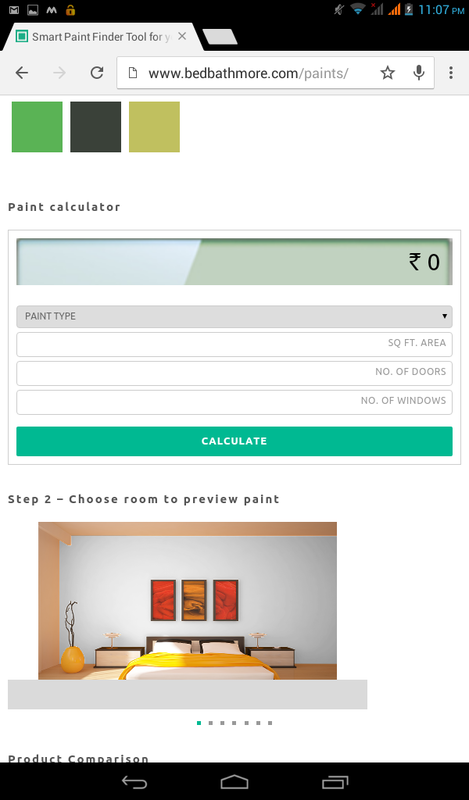 I quickly went to the paint finder tool and after selecting the shade, tried few looks for my living room. 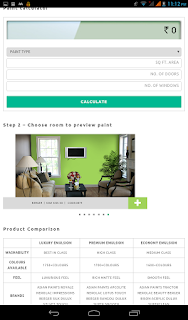 To my surprise, the tool not only helped me select the perfect shade and preview the look, it also helped me calculate the approximate costing, offered product comparisons and….also offered to find a local professional to convert your dream look into reality! Wow! Was I dreaming? No! So, what are you waiting for? Come to http://www.bedbathmore.com/ and find all your décor solutions at one go! As a mom to a 3 month old, I have no words to explain the joy I feel when I see my baby happy and comfortable. Being a mom is a huge responsibility, for it is mother a child looks out to in moments of happiness and trouble. Mothers understand the unspoken in their children – be it the most comfortable position that gives their baby a sound sleep, the lullaby in their soft and familiar voice the baby recognizes, or the gentle touch that soothes a crying baby. My baby arrived in monsoon time when humidity makes even us adults irritable. Keeping him dry and comfortable therefore, had been a huge challenge for me since day one. Until he completed a month, I wasn’t allowed to make him wear diapers. “His skin is so soft, constant use of diapers would harm it”, the elders would say. Only I know how my baby and I bore the torture of cloth nappies. No sooner than I changed his nappy and rocked him to sleep, he would wake up to a wet nappy, irritated and cranky. After a month of sleepless nights, when it finally came to using diapers, both Mr. Hubby and I were very skeptical. 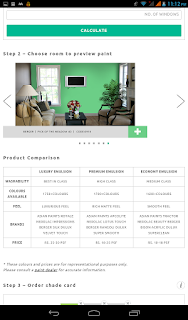 We wanted to use the best and softest for our kid, since our baby would spend close to 6-7 hours overnight in a diaper. After much research, we got special newborn diapers for our baby since there was no softer option available. However, we wouldn’t find these at every medical store, since not many people use them. 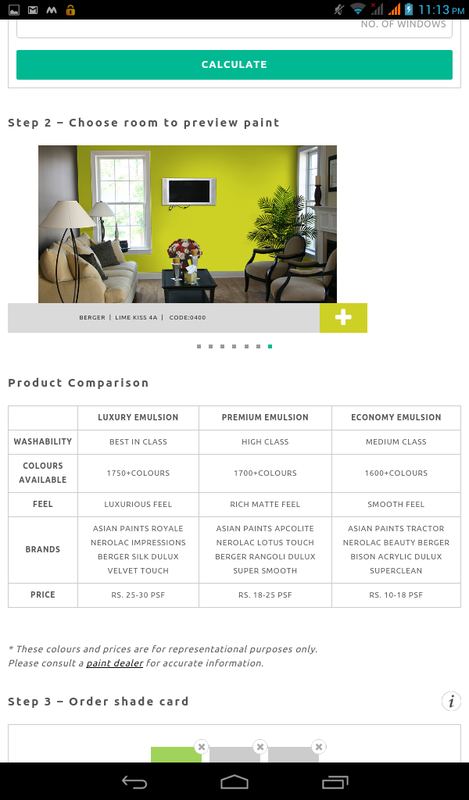 Also, these are available only upto 5kg, which meant we would soon have to find another softer option. 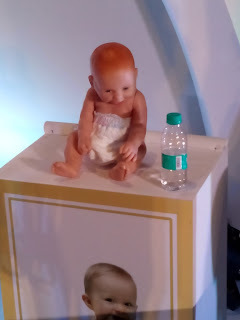 Whenever my baby would get irritated in extreme humidity with long hours of diaper use, I would just leave him without any diaper for few hours so that his skin could breathe. Coincidentally, I was invited to a special preview of the Pampers premium care pants for mommy bloggers. 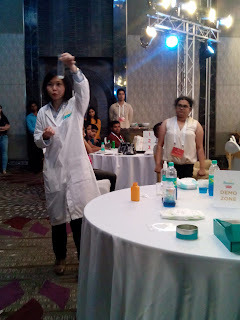 I had done my R&D on diapers so when they claimed these diapers are #SoftestForBabySkin,I was all enthusiastic. 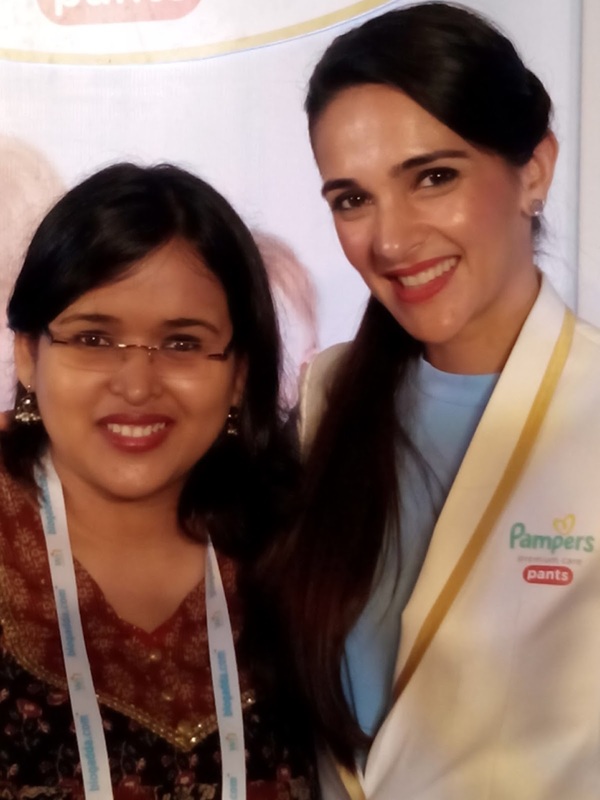 At the event, experts introduced us moms to the benefits of the new Pampers premium care pants. 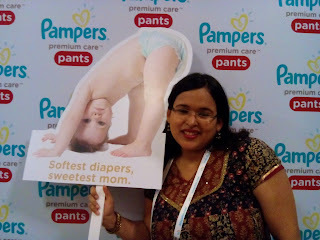 Read about my experience at the Pampers premium care pants preview here. 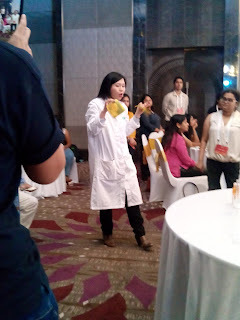 I decided to try out the sample diapers given to me at the event. 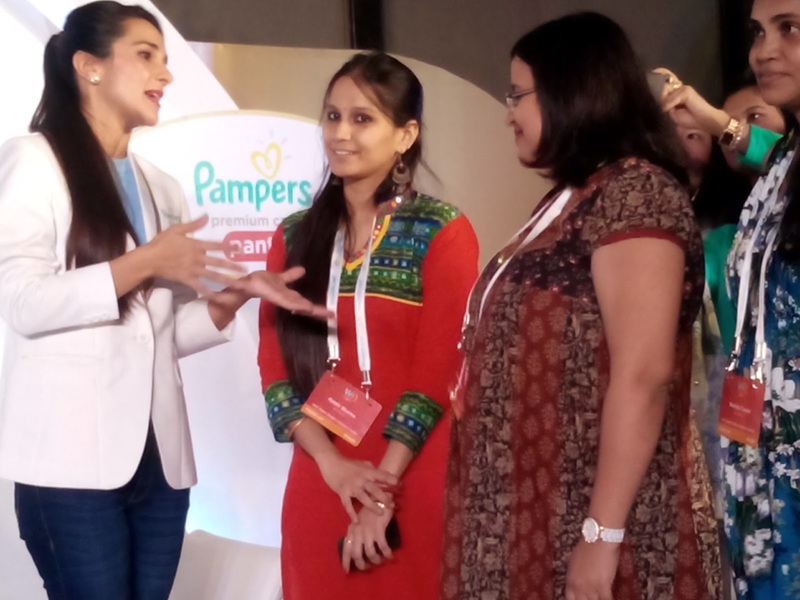 Pampers, the number one diaper brand in the world understands the importance of softness and dryness to a baby’s comfortable development. Hence, after much research, they have launched new premium care pants. 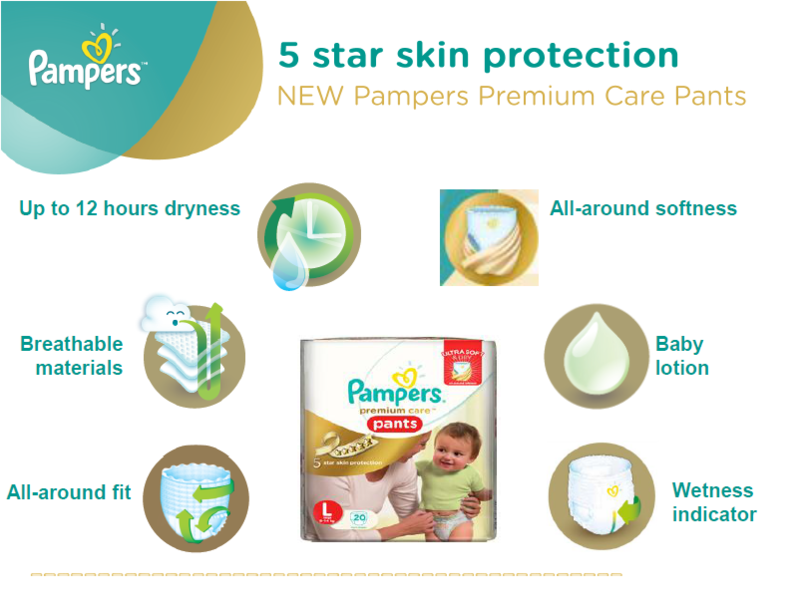 Pampers understand baby’s skin is the softest, so premium care pants have been made using soft materials to provide softness and comfort. 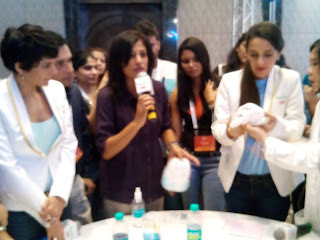 In fact, we bloggers tested the softness at the event where we were to touch diapers kept in 3 separate boxes without knowing the brands. 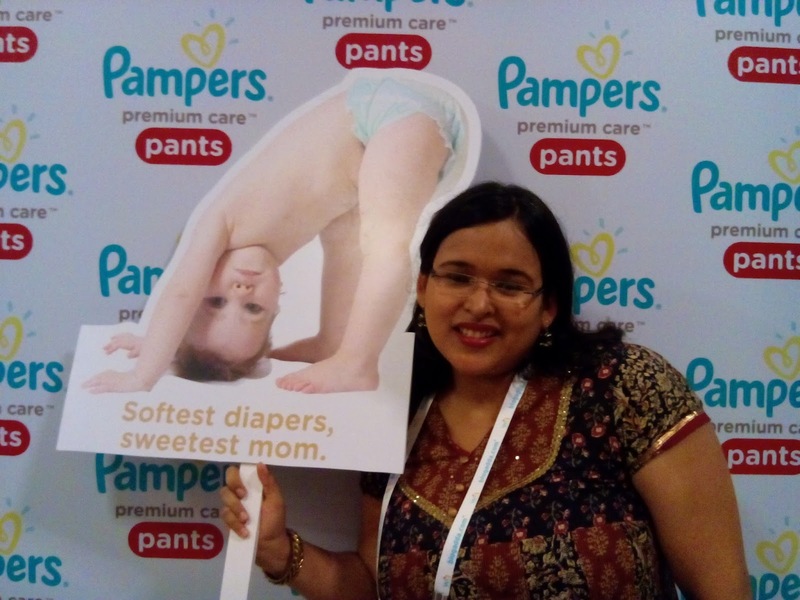 The diapers 92% bloggers voted as the softest came out to be Pampers premium care pants. Also, the all around waistbands and leg cuffs ensure a snug fit, minimizing leakage and making movement more comfortable for baby. While I target maximum 6-7 hours of diapers at night for my baby, at times due to me being busy with morning household chores, he ends up spending 10-11 hours in them. Whenever this happens, after certain duration my baby begins to feel uncomfortable in his wet diaper and gets cranky. 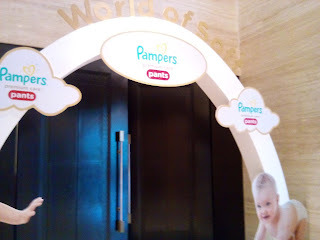 However, when I tested Pampers premium care pants on him, I deliberately kept the diaper on and even after 10 hours, he seemed rather comfy in his pants, giving me a stress free morning to finish my household chores. 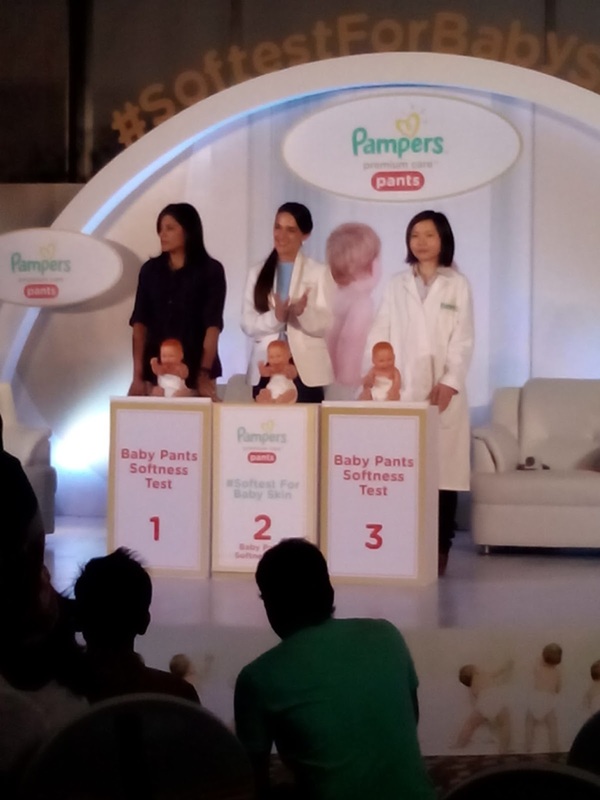 Pampers premium care pants come with ultra dry core that quickly absorbs and locks away liquids. As mentioned earlier in this post, my baby’s skin was our topmost priority while choosing the right diaper. 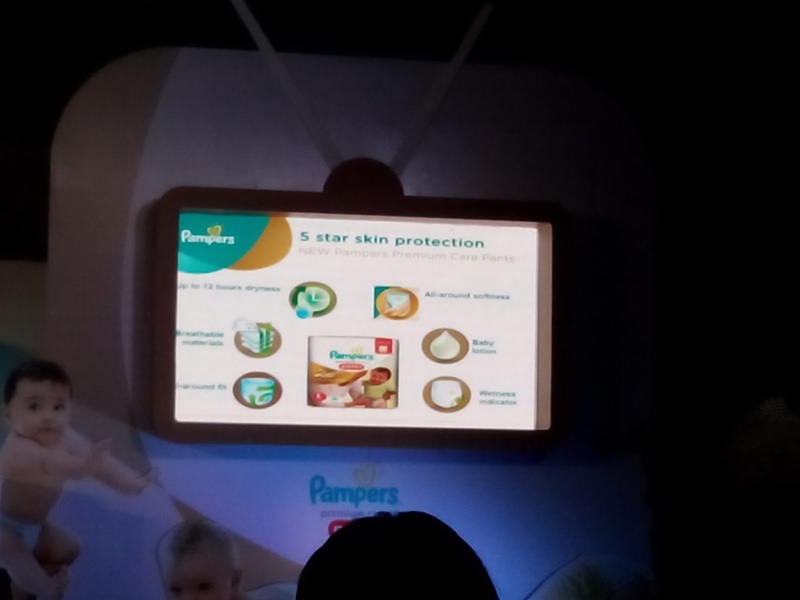 Pampers understand a mom’s concerns and therefore, Pampers premium care pants come with baby lotion that helps protect the baby’s precious skin. The very reason I leave my baby without diapers for few hours a day is to enable his skin to breathe. But Pampers has solved this problem of mine. 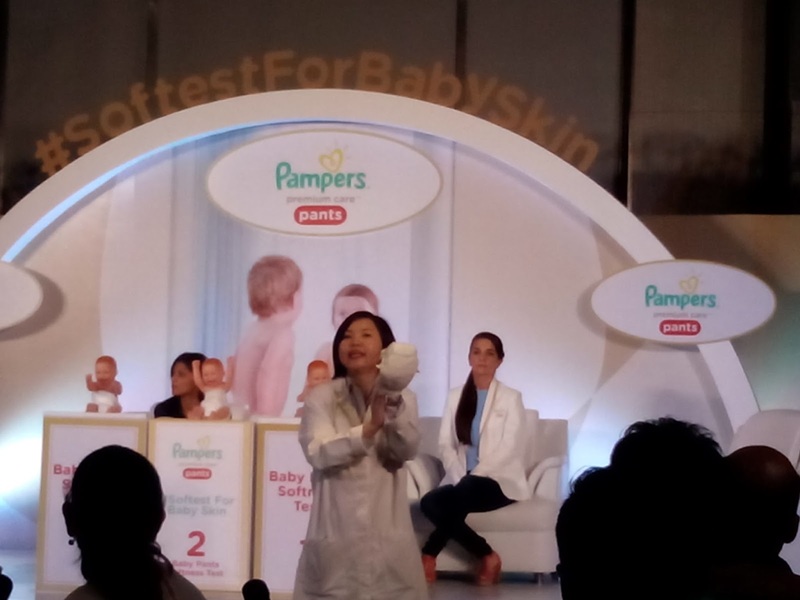 The micro pores in Pampers premium care pants help air circulation, allowing my baby’s skin to breathe. The only way a baby communicates his discomfort is by a cry. No matter how much mom understands her baby, its only when the baby cries that a mom usually discovers that the diaper is full. To save the baby this discomfort, Pampers premium care pants come with a unique wetness indicator that turns from yellow to blue when in contact with fluid, so parents can easily know when it is time to change. It has been a week since I have been using Pampers premium care pants for my baby, and I can say that this is the softest and the most comfortable diaper I could have given him. 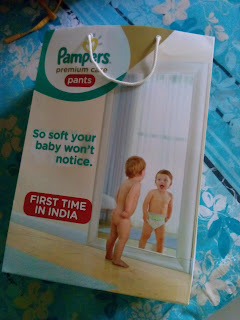 Since pampers premium care pants come in all sizes, I am relieved for I can continue to use these for my baby as he grows. Seeing my baby happy and comfortable is all I want as a mom, for a happy baby makes for a happy mom. I am a Pampers mom, are u? 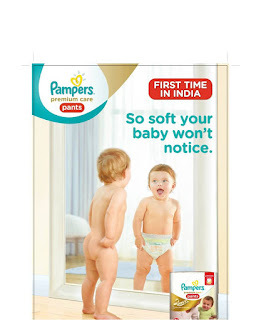 Try the new Pampers premium care pants at http://www.amazon.in/b?node=7212667031&tag=pampers-blog-21. Corporate Social Responsibility or CSR has over the past few years, become more than a section in Indian Company’s Act. 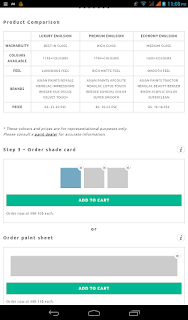 Technically speaking, the section mandates corporates with a networth of more than five hundred crores to spend 2 percent of their annual profit on CSR activites. However, in the era of cut throat competition, smart corporate have realized CSR too, can be used to gain competitive advantage. 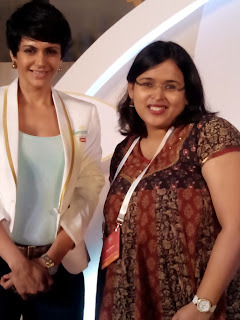 Having been involved in many CSR activities during the span of my career, I have been witnessing this increasing focus on taking CSR beyond just charities. So, when BlogAdda offered us the ACEF 2015 event, I was all eager to get my dose on CSR. 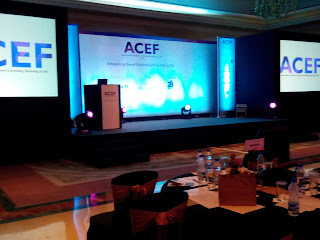 Asian Forum & Awards For Excellence in Branding, Marketing and CSR, or ACEF is an annual event to recognize the best in CSR. Running in its 5th year now, the event has industry stalwarts share insights on the avenues that can be explored and success stories. 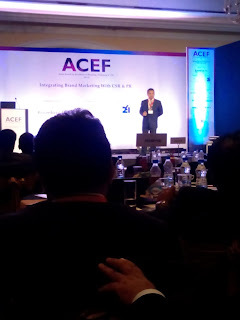 This year, the theme of ACEF was “Integrating Brand Marketing with CSR”. As I landed up early at the ITC Maratha Central on 12th morning, I realized I was one of the few early birds. However, soon delegates started pouring in, from students to corporate from varied industries and a wake up tea session followed. 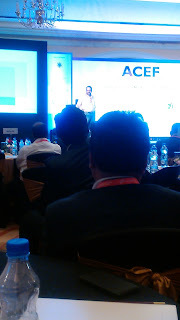 Allan Rodrigues, VP Hansa PR was at his wittiest best as he opened the event. All eyes were on me as Allan suddenly gave me 2 minutes of fame by highlighting my live tweeting skills! 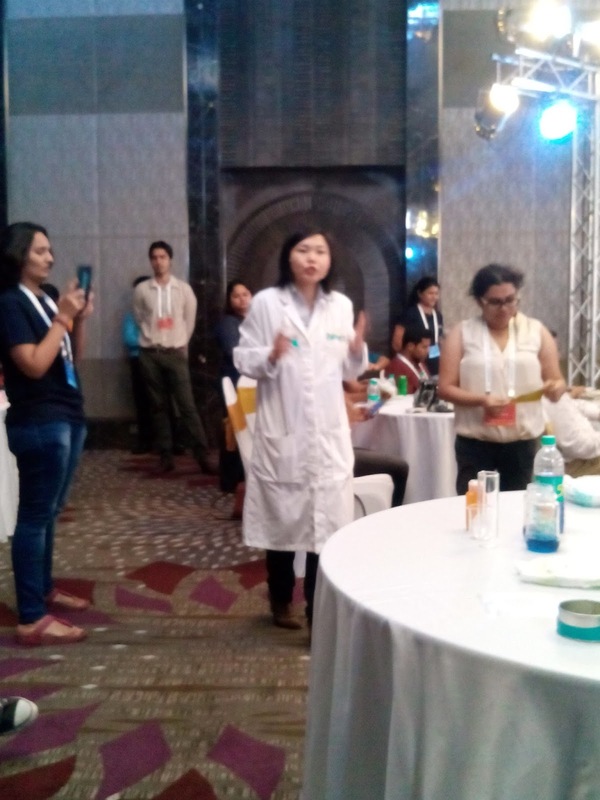 A morning session usually has people struggling to wake up and get their attentive selfs, however, the opening session from Sanjeev Kotnala, founder and Head Catalyst – The Unconsult Way had the audience listening in rapt attention. 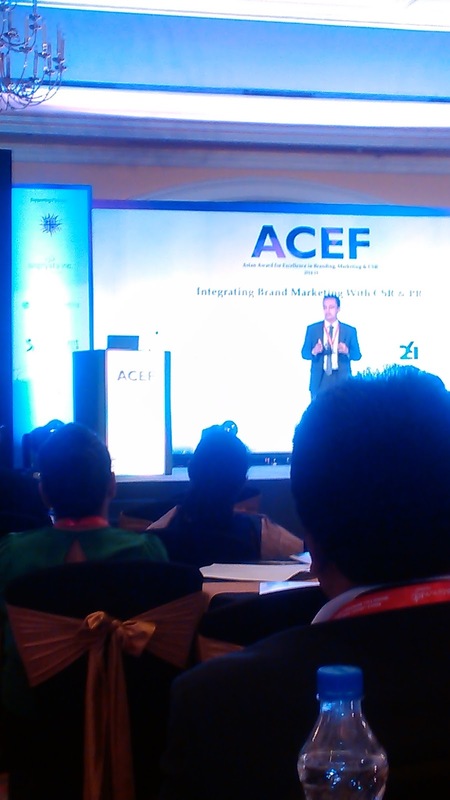 His session, “Where marketers need to grow” emphasized the role CSR has in building goodwill for the brand. The focus for any corporate is taking the biggest pie of market share. However, if companies use CSR to build brands, and involve internal stakeholders as well, CSR can be the path from Perception – Preference – Premium. Saurabh Uboweja, Founder, CEO & Director, Brand Strategy – Brands of Desire took us through the session “Creating Strong Brands versus using CSR to create Strong Brands”. Creating feel good factor for internal and external customers about CSR and link it with branding should be the mantra for smart companies, for consumers trust brands that do more CSR than those who don’t. 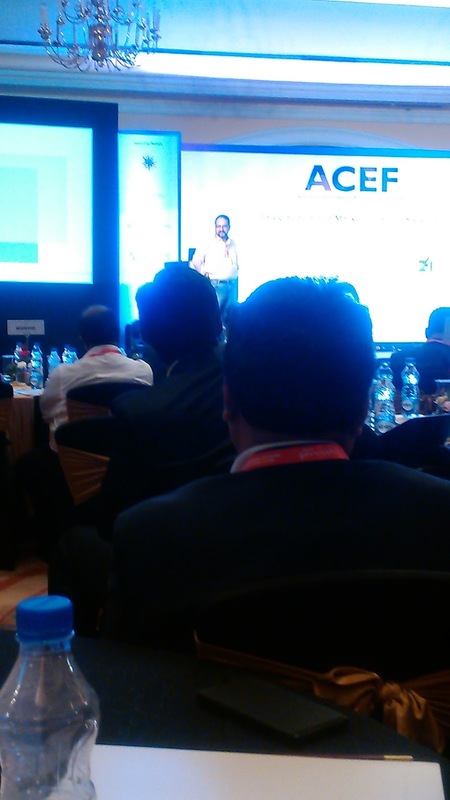 He also spoke about the relevance of CSR to be taken as an integral part of value system and culture. 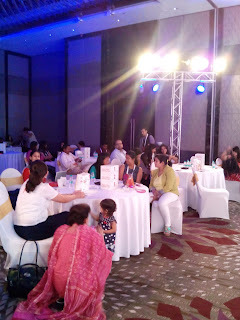 Taking the audience through many success stories, the session concluded on activist positioning as the next focus. As growling stomachs were in no mood to compromise anything for lunch, Sangeeta Robinson’s session began on CSR: It’s correlation and impact on the Brand. 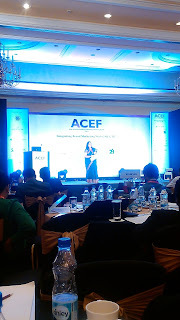 An expert orator, Sangeeta knew how to keep the crowd hooked, so she kept the session alive by quoting case studies from her career span. CSR is going beyond the business and good CSR can help build relations with community, create shared value and also generate future business. The impact of her session – people who were looking at their watches waiting for lunch as her session began were by the end of the session, compromising their lunch time to take tips from the expert. Another session squeezed before lunch time, faced the threat of low audience participation. 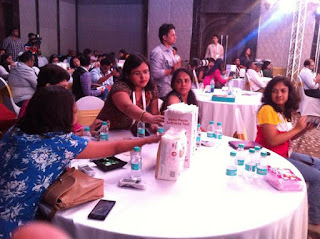 However, the session by Vikas Singh, AVP – Brand Marketing, Dainik Bhaskar Group saw the highest response from the audience. The session, titled “Building a Strong Brand in Cluttered and Commoditized Print Media Space” was full of interesting clippings from successful ad campaigns. The highlight of the session was the #livenonegative campaign by Dainik Bhaskar that focussed on highlighting the positive aspects of news rather than just getting mileage on dragging the negativities. Amitha Amarsinghe, Head of Neo@Ogilvy Sri Lanka spoke about Customer Engagement through Social Media in Emerging markets. 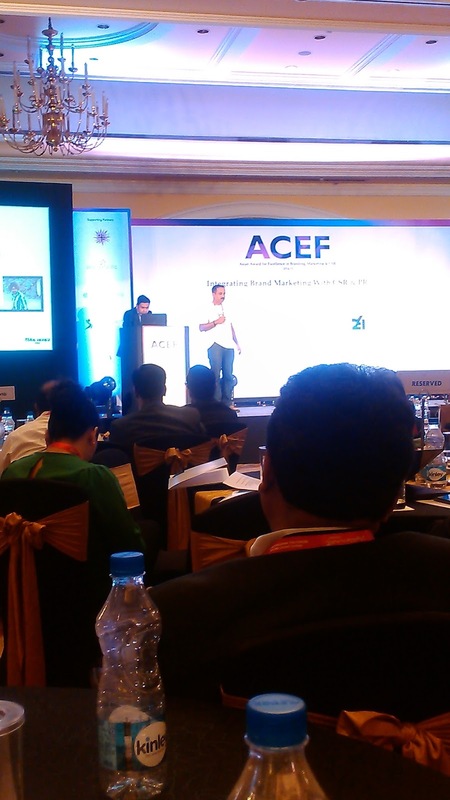 Taking us through many successful campaigns from his agency, Amitha threw light on how Social media had helped brands create the hype and get the competitive advantage. Next on the agenda was a panel discussion on “Integrating Brand Marketing with CSr & PR”. Jessie Paul, CEO Paul Writer moderated the event. 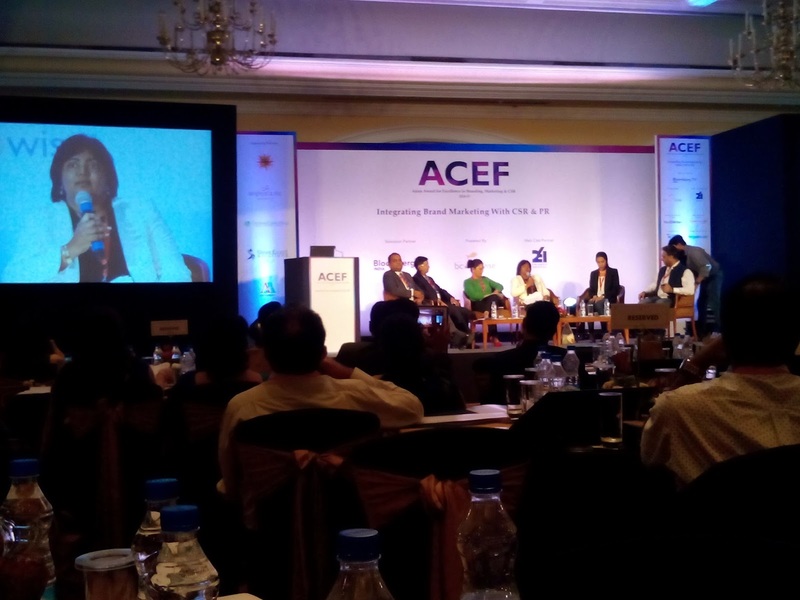 The panel of experts, Betsy Vincent, VP – General Carbon, Nilesh Jagad, Sr. VP – Indian Centre for CSR, Hasrath Munasinghe, DGM marketing- Commercial bank of Ceylon PLC Sri Lanka, Vaishali Sharma, Sr VP MarComm Sony MAX, Umesh Jhawar, VP Strategy, Arihant Superstructures Ltd, Sangeeta Thakral, Head of Marketing & Communications – Charities Aid Foundation shared their views. And lastly came the event everyone had been waiting for – the ACEF awards! Mr. Nirav Sanghvi of BlogAdda won the Best partner Marketing Award. CSR is being increasingly seen as a tool to give a cutting edge to brands. While one may see it as a mere gimmick by corporate to glorify their small mandatory contributions, a lot remains unexplored by which companies can achieve the important Cs – Customer’s preference, Conscious contribution to society, Creating immense brand value. This post is written for BlogAdda and ACEF.